The Hues Volume 1 Bookstravaganza by Alex Heberling. Kckstarting from January 18th to February 17th. Magical girls punching aliens. Seven young women are fighting to defend their city in the aftermath of a devastating alien invasion, while looking for the mysterious Jouchi, who may have the key to saving the world. It was an ordinary afternoon in the late spring when I sat down to watch TV after school. I regularly watched Pop-Up Video reruns on VH1 at 4:00 PM every day, and that was what I was doing when it happened. A commercial came on, I started flipping channels, I landed on Cartoon Network– and that’s when I saw her. 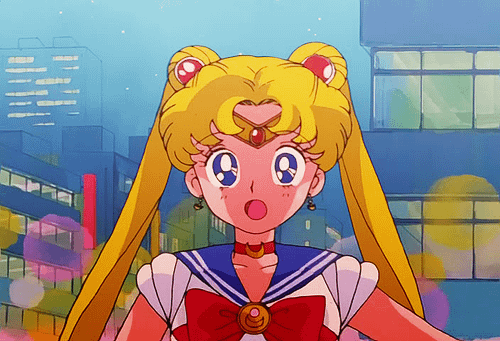 I just happened to stumble upon Sailor Moon on the very day it began airing on CN’s then-afternoon block, Toonami. I look back at this moment as one of my major save-points, if you will. I cannot imagine what my life would be like now if Sailor Moon had never come into it. Here was a story about girls fighting the forces of evil! And they were all different kinds of girls, too! 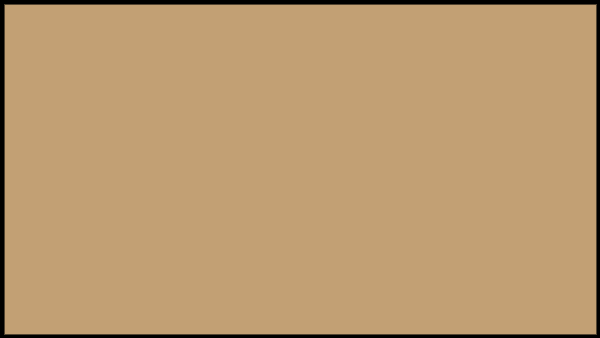 Up until then, my only experiences with adventure stories were usually about boys, or a team of boys and maybe a token girl or two in the mom or kid sister or girlfriend role; a shy, nerdy, loner-type girl I might have identified with was laughable. But Sailor Moon was like an even cooler Power Rangers, of which I was ALSO a voracious fan, except ALL of them were girls! It was love at first sight. It was a time when home computers and residential web access were really beginning to be A Thing, and so, as a wide-eyed twelve-year-old, I entered the world of the internet and discovered a whole lot more than my tiny brain could have imagined. Shrines on Geocities and Angelfire extolling the wonderfulness of any and every character, thousands of pages of fanfiction, link repositories, forums, chatrooms, and myriad other places I could hang out with other folks who shared my love for Sailor Moon. I’d always been a creative kid, but SM had an incredible impact on me. Up until then, I drew mostly cats. (I was kind of a Crazy Cat Lady, except I was, y’know, TEN.) But once I started drawing people, the floodgates opened and I never ever stopped. This show, so unlike anything I’d ever seen before, unlocked my creativity in innumerable ways, whether it was drawing the Sailor Soldiers flinging around their attacks, or making up my own stories about their adventures. Eventually, I started creating my own magical girl characters, too. The need for stories that inspire and empower girls is so profound. We need to be reminded that we have our own gifts, that we can fight to make our dreams reality, and that we have the power to change the world. As I say, if I hadn’t found Sailor Moon that day? With the bullying I went through in the following two years of junior high school, having this wonderful story to buoy me up is what helped me get through some of the hardest moments of my young life. 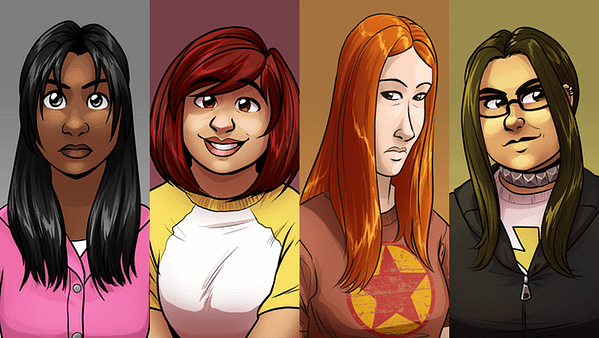 Two years ago, I dusted off the magical girls I’d created nearly fifteen years previous, The Hues. I was eight years into my comics career and had been working away at various projects as an independent comic artist when I decided it was time to finally do the story that’s been waiting in the wings since 1998. After spending a LONG time existing as a derivative (if loving and reverent) knockoff of the series that inspired it, I finally felt like I had the life experience and creativity to mold The Hues into something really special. I started publishing The Hues as a webcomic, and I now have enough material to make my first book. And it’s been my goal from the beginning to make something that will excite and inspire girls the way that Sailor Moon did for me back in the day. I’m only one person, but I’m working hard to craft my characters and story so that lots of different girls will be able to see themselves saving the world. Representation matters. Its effect is profound and far-reaching, and it’s something I’m incredibly passionate about. It’s not easy, and I’m bound to get something wrong at some point, but that’s no excuse not to even try.